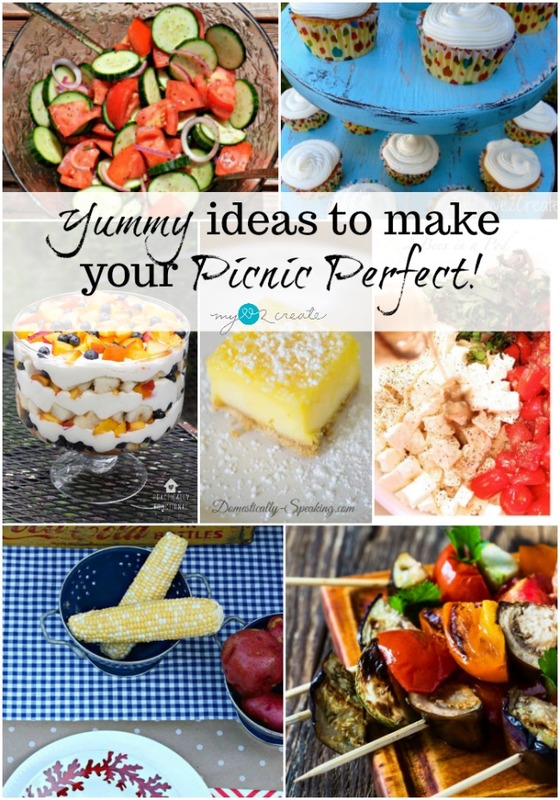 Yummy ideas to make your Picnic Perfect! There is something magical about summer, and the pull to spend every moment possible in the beautiful outdoors is contagious! 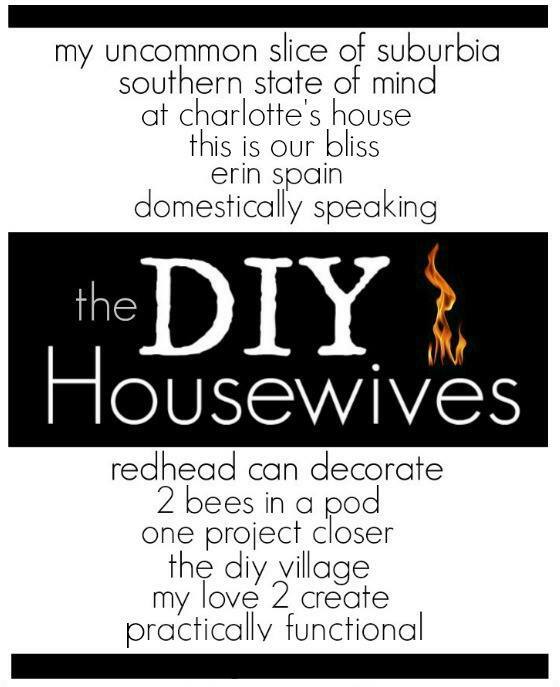 Which is why I am so excited about sharing these fun summer picnic ideas with the DIY Housewives! Are you drooling yet?! I mean a picnic has to have great food right? Awe yeah, I am ready to eat now! 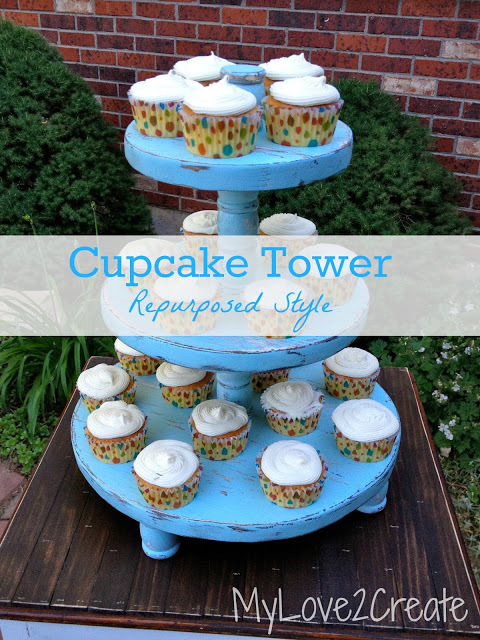 Today I am sharing a Cupcake Tower, repurposed style. Cause you all know that is the way I roll! A picnic with cupcakes is always a good idea, just ask the kids. I have used this cupcake tower for all sorts of food, not just cupcakes. Plus I have lent it to many friends for several different events, so if you entertain... this is a great project for you! These ladies have got some amazing ideas for your perfect picnic, so enjoy!! How cute! I know my kids would love that cupcake tower.